The first thing to note is that we are still discussing substantial price increases, even if in percentage terms the increases in key markets have fallen below a noteworthy threshold. The average Dublin rent rose by €160 during 2018, compared to €180 in 2017. It is unlikely that any new or existing tenants will be celebrating just because the new all-time high is less dramatically above the previous high than it was compared to the figure from two years ago. Indeed, one possible reason for the slowdown in inflation could be that the market has reached the limits of what tenants can pay. Digging beneath the figures, though, another reason suggests itself: improved supply. If true, this could indicate that the mild improvement in market conditions in Irelandâ€™s rental market may continue. 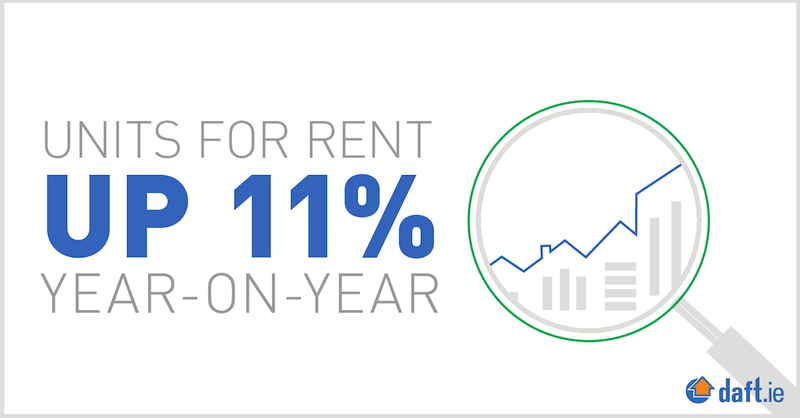 On January 1st 2019, there were 3,641 properties available to rent nationwide, an increase of over 11% on the same date in 2018, when there were just 3,270 homes on the market. As shown in the graph accompanying this piece, this is still the second lowest start-of-year total on record, going back to 2006. It is also below the 2016 and 2017 totals (both just below 3,900) and well below the previous market crunch in 2006/2007 when there were just under 5,000 homes available to rent. But an improvement is still an improvement, even if it is off a very low base. When availability improves, it is either due to a fall in demand or an increase in supply. Obviously, with Brexit looming, a fall-off in demand cannot be ruled out. However, that seems at odds with the evidence: employment and incomes are, at least at the moment, still going up. Not only that, while all major regions of the market showed at least some improvement in availability, two-thirds of these 370 additional homes on the market are in Dublin. 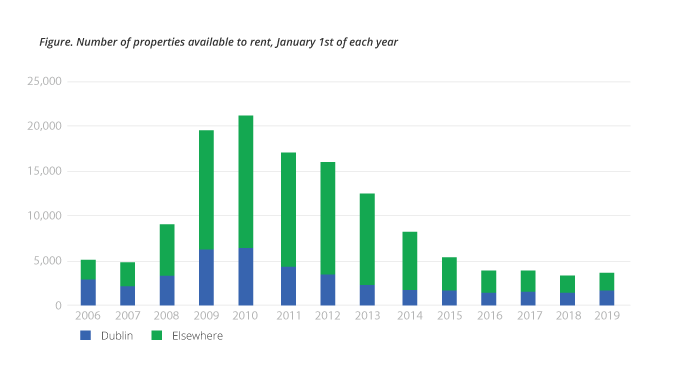 This is where the overall effect of Brexit is likely to be least calamitous: significant announcements by, among others, Facebook and Salesforce already in 2019 suggest that ‐ at least as of February 2019 ‐ there is no obvious Brexit effect in the rental market yet. So, at a time of apparently strong rental demand, especially in the Dublin market, there are some signs that availability is improving and inflation easing, however slightly. A further possibility presents itself. It is possible that the numbers are something of an aberration ‐ one swallow does not a summer make. There are a couple of examples of this before. In early 2015, and again in early 2017, the Dublin market recorded four consecutive months of improved availability. And in both cases, there was a small dip in rental inflation ‐ three-month increases closer to 1.5% than the 3% that has become normal. The second time, the improvement in availability even spread to a few other regions for a month or two. But in both cases, the gains quickly gave way to further reductions in stock and inflation resumed once more. This time, though, the improvement in availability has gone on for seven months in Dublin. It has also occurred at a time when supply more generally has improved. It is impossible to separate out new rental supply from new owner-occupied or new social housing supply in the stats. But the segment most likely to be responsible for new supply ‐ apartment construction ‐ appears to be waking up. Nearly 2,300 apartments were built in the year to September, compared to just over 1,000 in the twelve months to September 2016. And planning permission was lodged for almost 10,000 apartments in twelve months to September 2018. The challenge, of course, will be seeing those permits convert to real homes. Whisper it, but perhaps the corner has been turned. Next quarter's report will be able to shed a bit more light on whether conditions are indeed set to improve. There was a slight increase in activity in the residential property market in Cork last year, with the total number of houses and apartment sales up 1.4%. However, the total value of all properties sold in the county in 2018 rose by 20% to €1.6bn — up from €1.34bn the previous year — in a reflection of rising housing prices across Ireland. The median price of all homes sold in Cork city and county increased by 12.2%, from €205,000 in 2017 to €230,000 last year. An analysis of the Residential Property Price Register shows that a total of 5,646 homes in Cork were sold at full market price during 2018 — an annual increase of 79 transactions. The final total may increase slightly due to a number of late filings. The increase was driven by an increase in the number of new houses and apartments sold last year, while the second-hand property market remained effectively static. Sales of 928 new homes were recorded in 2018 compared to 840 the previous year. Average prices paid for new properties in Cork last year was considerably higher than those paid for second-hand homes in the county, due to the concentration of new developments in Cork city and suburbs including Ballincollig and Carrigaline. The median price of all new houses and apartments sold in 2018 was €329,075 compared to €214,000 for second-hand properties. The corresponding figures in 2017 respectively were €265,975 and €199,000. The most expensive residential property sold in Cork last year was the residential element of the 17-storey Elysian Tower in Cork. Kennedy Wilson, an international real estate firm, paid €67.7m for the 206 apartments in the mixed-use development, which also contains 67,500 sq ft of retail and office space and more than 550 parking spaces in a deal which totalled €87.5m. Cork developer Michael O’Flynn spent €100m building the landmark tower block which was completed in 2008 just before the collapse of the property market. The second-largest property deal was the sale of 120 out of the 188 housing units in the Quadrants, another mixed-use development in Ballincollig, which was also built by O’Flynn Construction, for €21.4m. One of the most valuable individual property transactions was a house at Scilly Hill in Kinsale which sold for €2.55m. CSO figures show that buyers who were either trading up or down accounted for 44% of all residential property sales in Cork last year. First-time buyers bought 27% of all properties sold while investors, including institutional investors, accounted for 29% of the total. Our list of schemes in Dublin and its environs shows improved supply, particularly in commuter counties where buyers willing to travel will get more bang per new home buck. A month into 2019 and the new homes market is gearing up for a busy year. 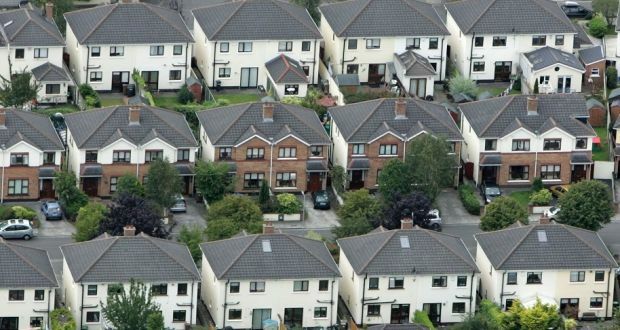 The latest housing survey from Goodbody estimates that 18,855 new dwellings were completed in Ireland last year, marking an annual growth rate of 31 per cent for the full year and the largest annual output since 2009. Specifically, it noted an increase of 45 per cent in large new schemes of homes, the bulk of these in Dublin. This is all good news given the often-cited figure of 35,000 new homes required annually to meet demand, and if planning applications are a further indicator the figures are encouraging. 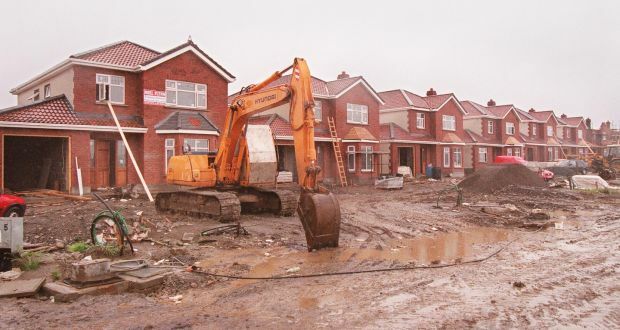 The latest report from Davy Stockbrokers and myhome.ie noted that new planning permissions had been granted for 29,500 units in 2018 – 70 per cent higher than the current level of homebuilding – and the majority of these were for large new homes schemes, mainly in Dublin. Specifically, planning applications for apartments have risen by 167 per cent in the 12 months to the third quarter of 2018, Goodbody noted. So after years of waiting the trickle of new homes has turned to a flow. The question is for who? And where? The emergence almost overnight of a booming private rented sector, where apartment blocks are purpose-built for big institutional investors to let over the long term, means the bulk of new apartments coming on stream in city hotspots will never be bought by individual punters. That starter pad for twentysomething professionals in the Docklands is likely to become a thing of the past. Even beyond the city centre, two hotly anticipated suburban apartment schemes of recent months have also been effectively removed from the open market prior to launch. Last May, Irish Life Investments Managers purchased Park Development’s 262-unit Fernbank scheme in Churchtown, Dublin, for more than €100 million. 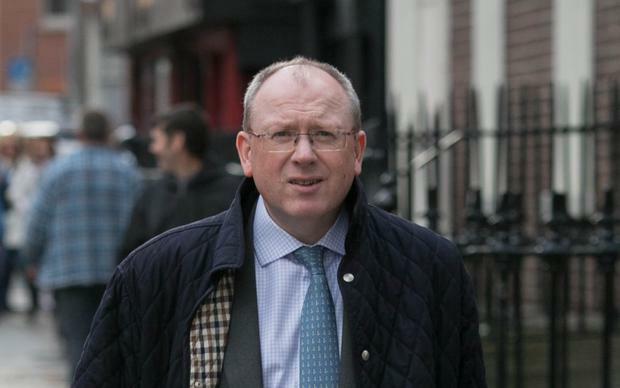 And more recently, publicly-quoted builder Glenveagh has indicated that it will ideally sell its Herbert Hill development of 90 apartments in Dundrum, Dublin, to a single institutional buyer. Of course the argument can be made that it’s about time this model was applied in Ireland, and we move away from a national obsession with individual home ownership. But when we see increased volumes of new units being built they will not all be available for individual purchase. The various new homes schemes coming on stream this year suggest a huge amount of activity. But it’s worth looking too at the volumes of stock being built, and price points. Building costs and access to finance clearly remain a major issue for developers, as new launches and subsequent phases are frequently limited to less than 20 houses – even in very large developments. It is clear that financial backers are erring on the side of caution, an indicator of how price sensitive the new homes market is. Larger developers who were first out of the traps in recent years would have based early projections on galloping double-digit growth as supply struggled to meet demand. But the Central Bank’s mortgage lending restrictions and their alarmingly swift impact on house price growth makes some of those early prices look a lot less competitive, in particular as other developments have come on stream and greater choice enters the equation. This may be a challenge for developers as we move towards a buyer’s market and more second-hand properties also come on stream. Prices in prime locations around the city are set high – site and build costs remain high – and in most cases are beyond the budgets of the traditional first-time buyer. Irish Life Investment Managers purchased the Fernbank scheme in Churchtown, effectively removing it from the open market prior to launch. Expect most activity in these areas to remain at the luxury end or to be single-lot private rented sector sales or student accommodation schemes. The new Land Development Agency announced last September promises to free up 30 land banks around the capital for delivery of 150,000 new homes over 20 years. But the first units won’t be built until 2020, and the fact that they will be delivered in most cases by private sector developers raises little hope that these will be truly affordable city centre homes for buyers. The Banking & Payments Federation Ireland’s most recent Housing Market Monitor for the third quarter of 2018 showed a widening of the price inflation gap between Dublin and the rest of Ireland. This is reflected in a clear rise in first-time buyer activity and demand in the more affordable commuter counties of Kildare, Wicklow, Meath and Louth. And there has also been a marked increase in new homes activity in the regions, in particular in Cork, Limerick and Galway. 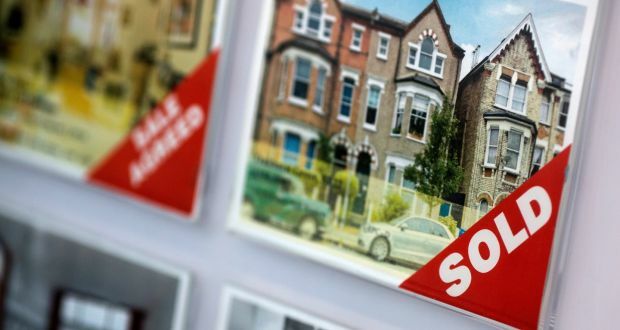 Agents are citing a definite surge in interest as first-time buyers rush to avail of the Help to Buy scheme before the window to apply shuts in December. There has been much speculation the scheme will be extended, but Minister for Finance Paschal Donohoe has made it clear any decision to grant an extension will only be made in Budget 2020 next October. Meanwhile, developers and builders are hoping to make hay in the starter homes market, where these buyers stand to gain most from the initiative. The launch of a €750 million State loans scheme is likely to provide a shot in the arm to small- and medium-sized developers who until now could not raise funding from banks or other lenders due to prohibitive interest rates and terms. It is expected more than 7,500 new homes will be built over the next five years on foot of the scheme. Once approved, these developments (which range in size between 10 and 200 homes) should hit the ground running, as a developer will need to have already secured or submitted planning permission for a project. 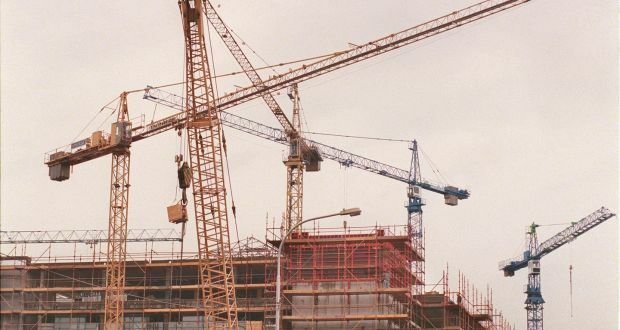 Concerns have been raised by the Society of Chartered Surveyors Ireland that the scheme will not apply to the building of new apartments where its research anticipates there will be greatest demand next year for one- and two-bed apartments. Instead the funding model is more likely to apply to homes costing €200,000 to build, typically three-bed semis outside of Dublin. The new homes sector is into recovery mode and fast-track planning will hopefully accelerate delivery. The greatest concern is that adequate provision will be made to ensure the units coming on stream are affordable and located in well serviced areas to meet the needs of young families and buyers, and not skewed towards the needs of big business. Séamus Woulfe addresses Lawyers Against Homelessness event in Dublin. Landlords who raise rents higher than the legally allowed limit in rent pressure zones will be criminalised and may be forced to re-let their property at the appropriate price, the Attorney General has warned. Séamus Woulfe SC told a Lawyers Against Homelessness (LAH) event on Thursday, hosted by Constance Cassidy SC at the Capuchin Day Centre in Dublin, that the housing and homelessness crisis was being treated with a “seriousness of the highest order” by Government. He pointed to “great efforts being made to address the situation”. 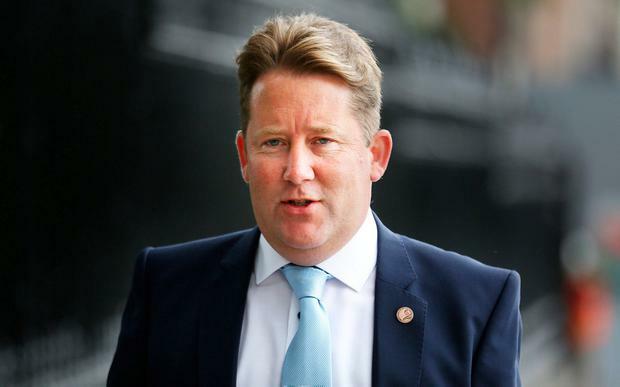 Among measures on the way was the Residential Tenancies Amendment Bill which he described as a “major piece of legislation” that would be “published shortly”. There had been arguments that some landlords in rent pressure zones were not complying with the rule that rents in these areas could not be increased by more than 4 per cent per year. A series of reports have shown average rent increases in Dublin in the last year have been double the allowable limits, and individuals have told of facing increases of as much as 20 per cent. This was the fourth occasion the LAH held this event, entry to which lawyers must pay for, to hear solicitors, barristers and judges give updates on legal issues. All money raised goes to the Capuchin Day Centre, which provides about 700 hot meals a day, and 1,700 food parcels a week, to the poor and homeless. Among the sponsoring legal firms on Thursday were Reddy Charlton, Byrne Wallace and BLM (Berrymans Lace Mawer). Mr Woulfe said Minister for Housing Eoghan Murphy had to “walk a careful line” between potentially criminalising landlords “in certain areas” and keeping landlords in the rental market. Buying and selling. Until recently a deed to the seller that was 20 years old or more constituted the point from which a buyer should start the review. The mid-west region recorded the greatest price growth, with house prices increasing by 21 per cent year on year. The Border region showed the least price growth, with prices increasing by 5.8 per cent. Property price inflation has fallen to less than 6 per cent in Dublin, figures from the Central Statistics Office (CSO) show. This was the lowest level of price growth recorded in 18 months and suggests the gradual pick-up in housing supply may be cooling the market. Nationally prices rose by 8.2 per cent in the 12 months to September, down from 8.9 per cent the previous month and 12 per cent a year ago, according to the latest figures. 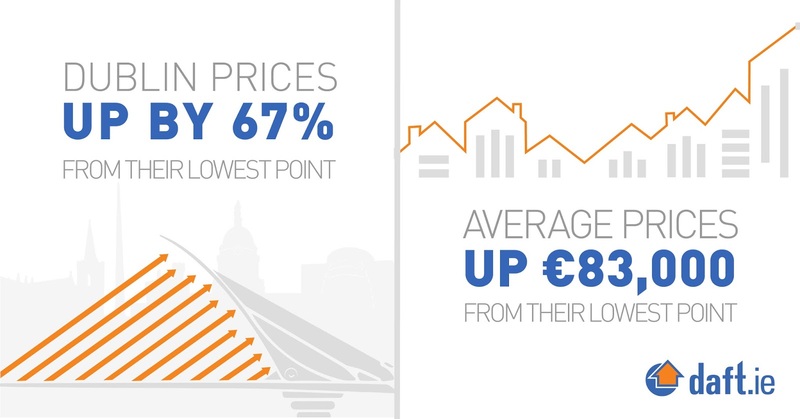 In Dublin, Dún Laoghaire-Rathdown exhibited the greatest level of price growth at 8.3 per cent while south Dublin recorded the lowest with prices rising by just 4.2 per cent. The figures show the median price paid for a residential property in the current market was €242,000. 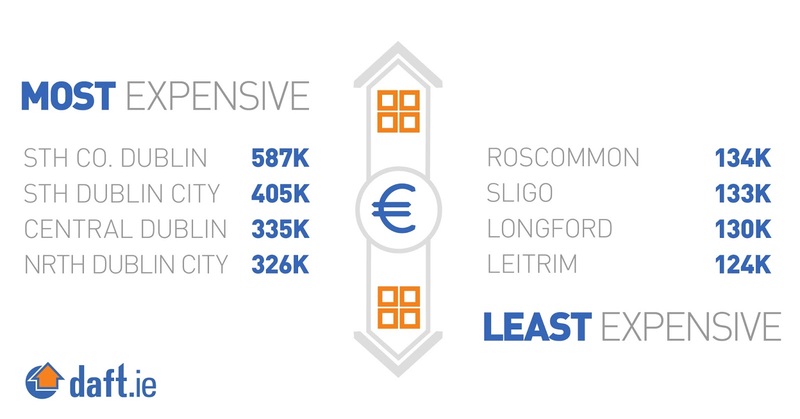 Dublin was the region with the highest median price (€364,998), while Dún Laoghaire-Rathdown had the highest median price (€532,000) of the four Dublin administrative areas. Outside Dublin, the region with the highest median price was the mid-east (€267,499) while the Border was the region with the lowest median price for a dwelling (€120,000). The figures, which also break down prices by Eircode, show the most expensive Eircode area to purchase a house was D04 “Dublin 4”, with a mean price of €797,181. 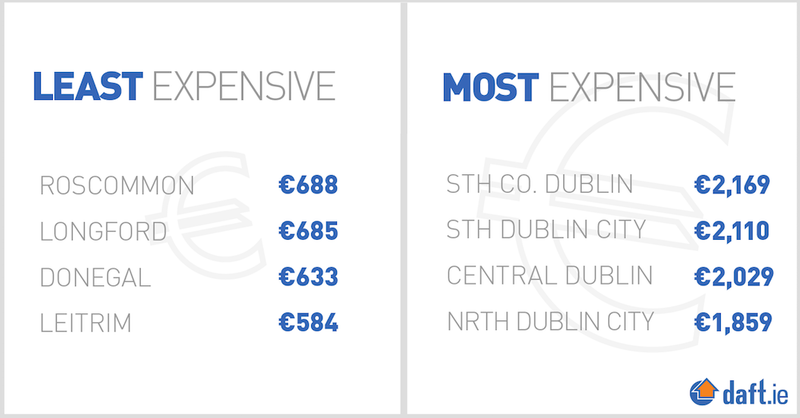 The second most expensive Eircode area was D06 “Dublin 6”, where the mean price was €732,974. 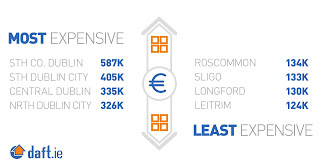 The least expensive Eircode area within Dublin was D10 “Dublin 10”, with a mean price of €226,465. Since early 2013, prices across the Republic have increased by 82.8 per cent, while Dublin prices are up by 96.1 per cent from their February 2012 low. Prices outside the capital have been slower to recover but are still 77.8 per cent higher than their trough in May 2013. IPAV, the Institute of Professional Auctioneers and Valuers, said the continuing tapering in the level of house price growth marked a “price correction” in the market in the most expensive areas. Chief executive Pat Davitt said despite today’s CSO figures it is still the case that properties across many areas of the country are being sold for less than the price of constructing them. “That is part of the reason why last week’s CSO new dwellings data for Quarter 3, while going in the right direction, is still anaemic, likely to be below 20,000 for the full year,” he said. Separately the Society of Chartered Surveyors Ireland (SCSI) on Wednesday released its latest “Guide to House Rebuilding Costs” which average building costs have increased by 5.5 per cent in the past 12 months. The guide, which is used by homeowners to calculate the rebuilding costs of their home for insurance purposes, suggested the cost of rebuilding a three-bed semi in Dublin, the most expensive area, is €227,000, while the cost of rebuilding a similar house in the northwest, the cheapest area, is €154,000, a difference of €73,000. SCSI member Mark Bourke said the rise in costs is mainly associated with increased activity within the sector. “The construction sector is experiencing high demand and this increase in activity is having an inflationary effect on prices,” he said. Rents have risen 30pc above Celtic Tiger rates and reached a record high for the 10th consecutive quarter, according to a new report. The findings by Daft.ie don't expect the rental hikes to stop any time soon. Nationally, there has been a rise of 11.3pc on last year, with the average monthly rental cost coming in at €1,334. Rents in Dublin are 10.9pc higher than last year. In Dublin the average rental price for a one-bedroom apartment ranges from €1,215 in north county Dublin to a high of €1,981 in Dublin 4. Limerick and Waterford city have each seen a jump of more than 16pc in rental costs for a the likes of one-bedroom apartment. Meanwhile, the rental cost for five-bed homes in these cities are 26pc higher than 2017. Rents in the capital are now 36pc higher than they were at their previous peak. 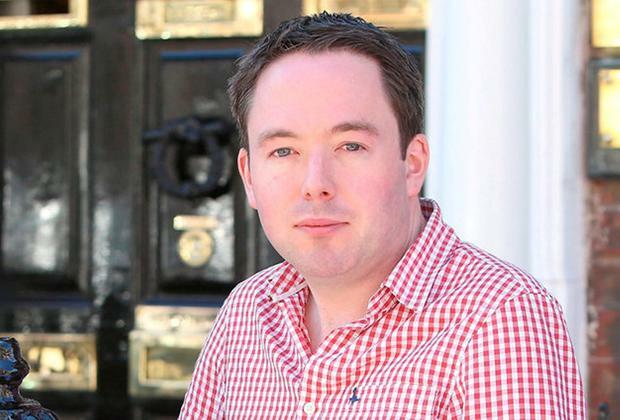 Daft.ie economist, Ronan Lyons said: "A problem that started to emerge nine years ago in Dublin has not only not been resolved, it has spread to the rest of the country". 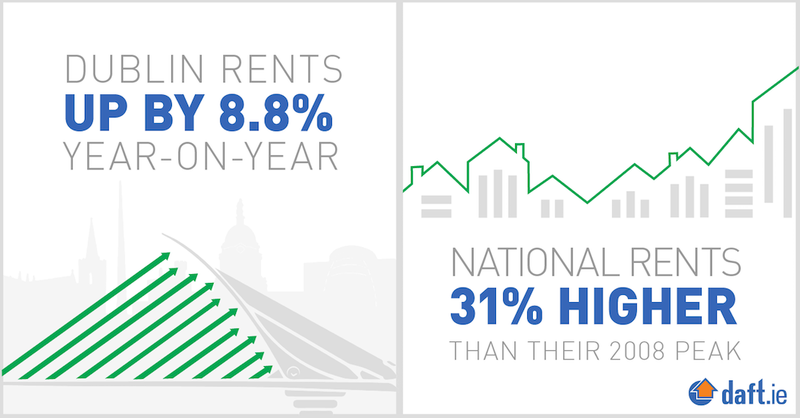 "Once again - for the 25th consecutive quarter - rents have risen. Once again - for the 10th consecutive quarter - both a new record high for rents has been set and the year-on-year rate of inflation is above 10pc," he said. Mr Lyons said the reason rents were rising countrywide is "because demand far outstrips supply". He said the country needed to build far more homes than it was currently and that these should be predominantly urban apartments, based on the research. The report found that the average market rent has risen by some 80pc in the past seven years, since it bottomed out in in 2011. Prices were rose by 8.2pc nationally in the year to September, but the rises in Dublin have continued to ease off. Economists said the surge in prices in the past few years and Central Bank lending limits are taking the steam out of the market. The latest figures from the Central Statistics Office (CSO) also show a drop in the number of property transactions. Dublin recorded the lowest level of price growth for almost two years. Prices rose by 6pc in the capital, the CSO said. The strongest price rises were in the mid-west region, with prices increasing by 21pc in the last year. When it comes to Dublin the largest increases were in Dún Laoghaire-Rathdown with price growth at 8.3pc. 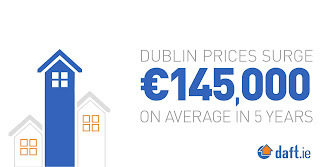 In contrast, south Dublin recorded the lowest with prices rising by just 4.2pc. New mortgage lending at Permanent TSB has jumped 49pc year-on-year in the nine months to 30 September. As a result, the bank’s market share of drawdowns increased to 14.7pc from 13.8pc, according to a trading update from the group. "Whilst the mortgage market in Ireland continues to grow steadily, it remains competitive. We continue to carefully manage our offering maintaining price discipline and credit underwriting standards," Jeremy Masding, CEO of Permanent TSB, said. Overall, and the banks said its performance continues to trend "in line with expectations." Its new lending volume of €1bn represented a 48pc increase year-on-year. On the matter of non-performing loans (NPLs), PTSB said that they had reduced by €0.1bn to €2.9bn from the first half of 2018 primarily due to some loans returning to a performing status. The bank added that the completion of the sale of €2.1bn of NPLs announced in July, and known as Project Glas, continues to progress in line with management expectations. When completed the sale will reduce the NPL ratio down to 16pc from 25pc. "We continue to manage the remainder of the NPL portfolio and are committed to reducing the NPL ratio to single digits in the medium term, as per regulatory guidelines, whilst protecting capital," Mr Masding said. Customer deposits of €17.1bn were broadly unchanged from the first half of 2018. Meanwhile performing loans amounted to €15.3bn, a marginal increase from the first half of 2018. The bank’s pro-forma Common Equity Tier 1 (CET 1) ratio on a fully loaded basis and transitional basis increased to 13.9pc and 16.7pc respectively compared to 13.4pc and 16.2pc at the first half of 2018. This is a measurement of the bank's core capital compared to its total risk weighted assets. The increase is mainly due to profits earned in the third quarter of 2018, and a marginal reduction in risk weighted assets. 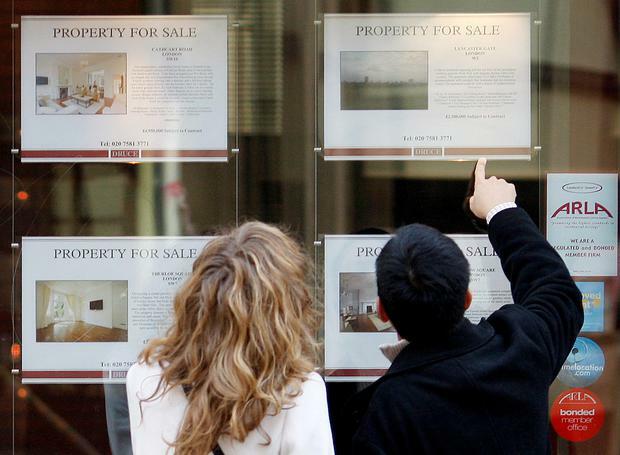 Some 31 per cent of first-time buyers were aged 25-30, according to the MyHome.ie survey. 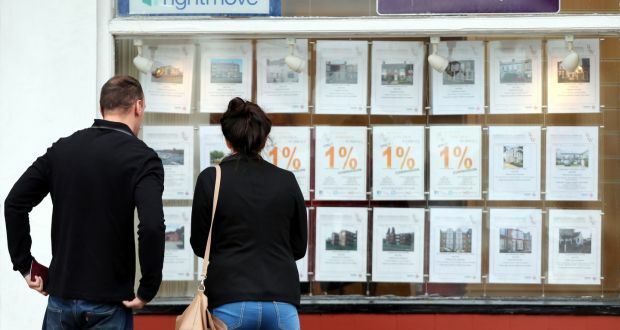 Almost two-thirds of people expect house prices to rise in the next 12 months, but one in five expect prices to stay the same and 15 per cent think they will fall, a survey by MyHome.ie found. Among those who believe house prices will increase further, the largest cohort (some 42 per cent of all respondents) believe they will do so by up to 5 per cent, according to the survey of 1,700 people. Only 18 per cent think prices will rise by 5-10 per cent, with just 4 per cent expecting a surge of more than 10 per cent. Respondents were in agreement on the question of whether the Government was doing enough to address the housing crisis: some 93 per cent said it should be doing more. 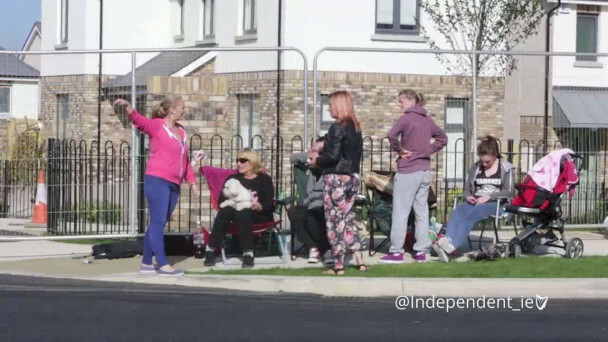 “Given that the Taoiseach has already said the Government would be judged on how it deals with the housing crisis, the fact that the overwhelming majority of people believe they should be doing more, will no doubt be a concern,” said Angela Keegan, managing director of MyHome.ie, which is owned by The Irish Times. Ms Keegan said it was interesting to see that awareness of the Help to Buy scheme was quite high among first-time buyers at 72 per cent, but awareness of other Government schemes such as Rebuilding Ireland Home Loans and the Mortgage Allowance scheme were much lower at 12 per cent, while awareness of the Shared Ownership scheme was lower again at 4 per cent. According to the property website’s survey, some 31 per cent of first-time buyers were aged 25-30, while 29 per cent were aged 31-35 and a further 16 per cent were aged 36-40. The rising age profile of the group has been a recurring feature of surveys in recent years, Ms Keegan noted. This is mainly the result of the shortage of affordable housing. Some 40 per cent of those surveyed said they expected to buy a new home in the next 12 months, with 34 per cent indicating that they were undecided and 26 per cent saying they had no plans to buy. 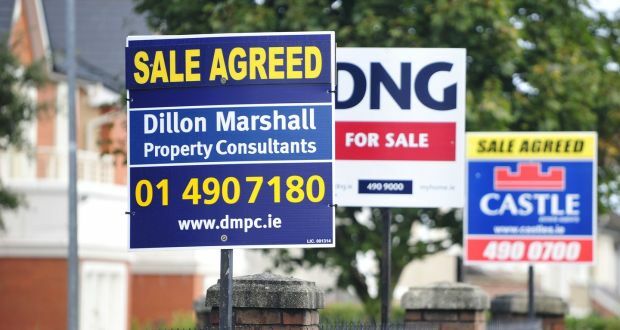 "Slowdown in house price inflation should be welcomed"
While house prices are continuing to rise the rate of inflation is slowing due in the main to tighter bank lending according to the latest house price report from MyHome.ie. Asking prices rose 7.2% in the year to Q2 2018 – the slowest pace of inflation in two years – and down from 9.5% in Q1. In Dublin, asking price inflation has slowed to 6.8%, down from 11% at the turn of the year. The report, which is published in association with Davy, found that the prices of newly listed properties nationally rose by 3% in Q2 while prices in Dublin rose by 2.2%. Newly listed properties are seen as the most reliable indicator of future price movements. The median asking price for new sales nationally is €270K while in Dublin it’s €384K. The author of the report, Conall MacCoille, Chief Economist at Davy, said that the slowdown in house price inflation should be welcomed as double-digit price growth could not be sustained over the long term. "We would normally expect the slowdown in asking prices to feed through into transaction prices within the next three to six months. For now, we are seeing stronger price gains in less expensive areas of Dublin and among the less expensive property types. For example, one-bedroom apartments in Dublin are up 11.4% on the year but four bedroom detached houses are only up 2.3%"
"Of course, Ireland still faces an acute housing shortage but unlike the past there is a more sensible debate on how to solve the problem. Short-term ineffectual measures from the early 2000s such as allowing increased leverage on mortgage loans, tax breaks or mortgage interest relief have been left by the wayside. Instead the debate has focused on planning reform, housing density and efficient use of state land and infrastructure funds" MacCoille concluded. Angela Keegan, Managing Director of MyHome.ie said the improvement in stock levels, particularly in Dublin was most welcome. "While some thought the lending rules would hold back activity, figures from the Property Price Register show transactions in the first five months of 2018 were up 6% and that the increase for the year may well be closer to 10%, bringing the level of transactions for the year to 60,000. While we are still clearly in the midst of a housing crisis, all the key indicators are moving in the right direction as we inch closer to a normally functioning property market" Keegan said. House prices are flatlining in Dublin and Ireland's other cities. House prices are flatlining in Dublin and Ireland's other cities - with even an average 'semi-D' out of ordinary families' price range. In large tracts of Dublin, the past three months have seen barely any increase in the price of a typical family home. That's despite the huge shortage of property in the capital and an estimated 18 months' worth of pent-up demand for accommodation. Other cities are also flatlining as families cannot afford to reach any higher, with strict limits on mortgages in play. Workers are now having to travel to the far fringes of the commuter belt in order to get a foot on the property ladder, according to the Irish Independent/Real Estate Alliance (REA) Average House Price Index. In postcoded Dublin, the price of an average three-bed semi showed almost no increase (0.1pc) in the past three months, with South County Dublin prices exactly the same as three months ago. North County Dublin is showing an increase of 0.8pc over the quarter. Over the year, South County Dublin recorded a rise of just 2.4pc with the North County hitting 7.5pc - largely because there are more relatively affordable homes there. Overall, the price of a semi-detached house in Dublin has increased by just 2.7pc over the year, with the inability of potential buyers to get a mortgage keeping prices down. A semi in the capital now averages €443,333, which is well above the generally accepted maximum borrowing range of up to €320,000 for a dual-income couple with average salaries. The data released today shows that the average home in Cork city has also stopped increasing in price at €317,500, the same as it was in June. Galway city semi-Ds are up 0.9pc over three months with inflation now slowing. Meanwhile, Limerick city semi-Ds have seen their prices frozen at €200,000, with zero inflation over the previous three months. In contrast, strong increases in prices were experienced in locations where city commuters are now tending to head in search of affordable homes which are within their mortgage range. Cork County had some of the strongest increases nationwide in three months with homes up 4.7pc in the quarter while Galway County saw a 3.2pc rise. Limerick County prices soared by 6.7pc, the second highest in the country and a startling increase of more than 2pc per month. Commuter locations where mid to low-earning Dubliners are heading to find affordable homes also showed inflationary spikes. In Laois, a county in which agents are reporting big interest from Dubliners, prices rose by 5.4pc in just three months to €195,000. This shows that many city dwellers, fearful of surging rents and the insecurities of tenancy, are opting instead for ownership with long-distance commutes attached. The Real Estate Alliance bases its data on actual sales, as opposed to asking prices, of three-bed semis, the country's most common home type. 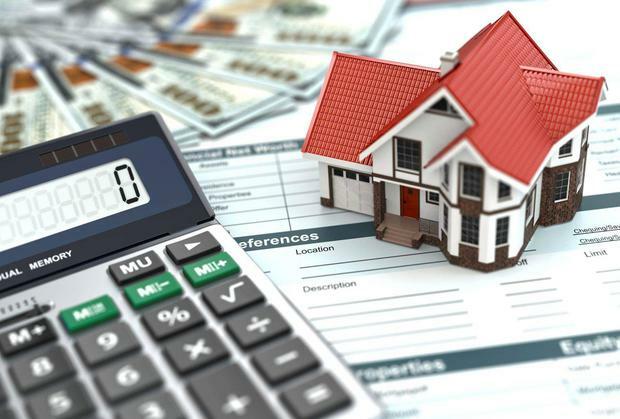 "There is no doubt that the Central Bank [mortgage lending] rules are having an effect in the market, and are achieving what they set out to do in terms of keeping a lid on prices," said REA spokesperson Barry McDonald. 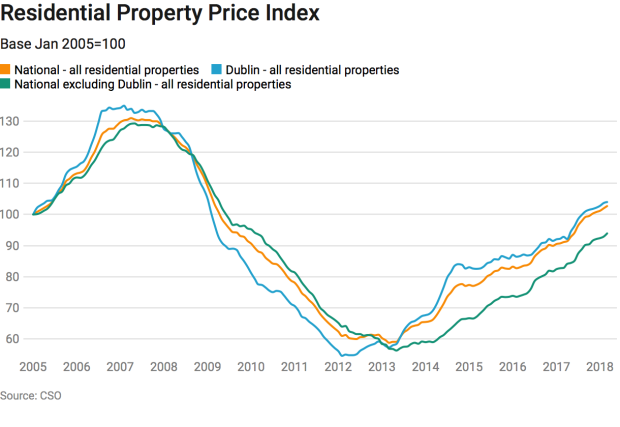 "In the Celtic Tiger years, all prices rose across the board, but in 2018 the system is actually working and the only price inflation is in a new homes market that is concentrated in pockets." 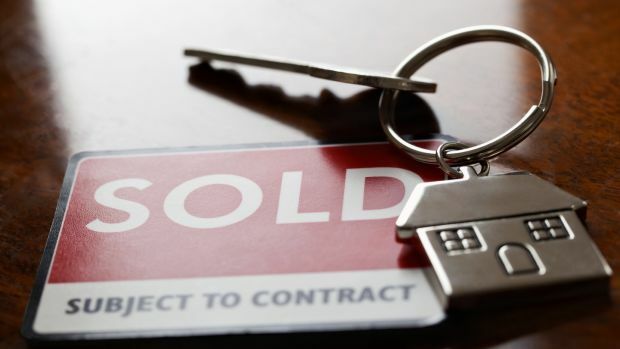 There has been a 3pc reduction in cash buyers in the market in the past three months, with mortgage-approved house hunters now making up 78pc of purchasers. This trend further increases the effect of the Central Bank rules on the market. "The second-hand market has become extremely price- sensitive, not just in Dublin, and when we look across the country it is the areas with quality housing stock available for under €270,000 that are achieving highest growth," added Mr McDonald. The average semi-detached house nationally now costs €234,824 - a rise of 1pc on €232,441 three months ago. A warm summer also played a cooling role in the market, according to Limerick agent Michael O'Connor. He said: "September appears to be the month when we caught up on lost time. "Once the kids returned to school, the market accelerated with a noticeable increase in transactions." The highest rate of increase in the country overall was experienced in Carrigallen in Leitrim. Leitrim prices were up 7.5pc, making it the fastest-inflating county. House-hunting couples who earn up to €90,000 a year may be able to avail of a new affordable housing scheme after the Budget. Fianna Fáil is demanding the introduction of an affordable housing scheme which will see homeowners enter into a shared-ownership arrangement with local authorities. The scheme, which is central to Budget negotiations, will see local authorities buy houses from developers before offering them at significantly subsidised rates to first-time buyers. Local authorities will retain a stake in the properties until the home is sold or bought out by the property owner. The scheme will be targeted at people earning between €30,000 and €90,000. It is envisaged that Dublin local authorities would subsidise houses by as much as 50pc under the scheme which aims to provide houses priced between €160,000 and €200,000. Fianna Fáil is insisting on the scheme being introduced next year to ensure there is no delay in the roll-out of affordable housing. The party is also proposing a more comprehensive long-term affordable housing scheme that would involve local authorities building new homes. This would see €200m earmarked to build 4,000 affordable houses. The two schemes form the backbone of Fianna Fáil's demands ahead of the final budget of the confidence and supply arrangement. Fianna Fáil housing spokesman Darragh O'Brien, along with the party's budget negotiator Barry Cowen, yesterday met Finance Minister Paschal Donohoe and Housing Minister Eoghan Murphy to discuss the proposal. A Fianna Fáil source said it was "making slow progress" on affordable housing but insisted the two new schemes are at the centre of its budget demands. Fine Gael and Fianna Fáil will meet over the coming weeks to determine how much funding is available for social housing. The agency “will demand” that almost a third of homes built on its sites must be affordable houses. 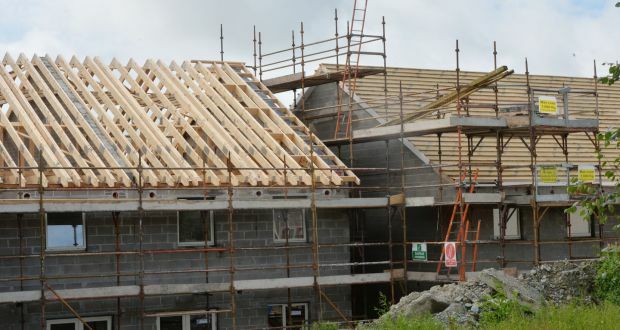 The cost of building a family home has risen 7.5 per cent to as much as €161,000 in the past year, according to new figures from a leading quantity surveyors group. A report published by Linesight on Tuesday estimates that the construction industry will be worth €21 billion to the economy this year. The surveyor firm’s figures show the pure construction cost of an average estate home now runs at between €1,260 a sq m to €1,610 a sq m.
Linesight bases its calculation on a 100sq m (1,076sq ft) dwelling, implying a total building cost of €126,000 to €161,000 for the average family home. Rising wages, fuelled by demand for workers, and more expensive raw materials, have pushed the cost of building a home up by 7.5 per cent over the past year from the €117,000 to €150,000 range. Linesight – previously known as Bruce Shaw – is publishing its figures in an update to its yearly handbook, which gives a detailed snapshot of the state of the Republic’s construction industry. The data shows a similar rate of growth in the cost of building apartments, from €2,200 a sq m last year to €2,380 a sq m now. Listed Irish house builder Glenveagh said, when publishing results for the first six months of this year, that it was seeing costs rise at about 4 per cent a year. Rival Cairn Homes, meanwhile, calculated that “annualised build cost inflation” was 2.9 per cent when it released its interim numbers recently. Linesight’s calculations are based on an extensive database and the construction industry regards its handbook as a reliable benchmark for costs. The surveyors’ figures only give the cost of actually building a home, which is mainly the price of labour, raw materials, heating, plumbing and electrical installation. The total cost of a family home can be twice that outlined in the company’s report. Other expenses, including buying the land on which the house is built, VAT, finance, professional fees, and local authority charges and taxes, can push the expense past the €330,000-mark. 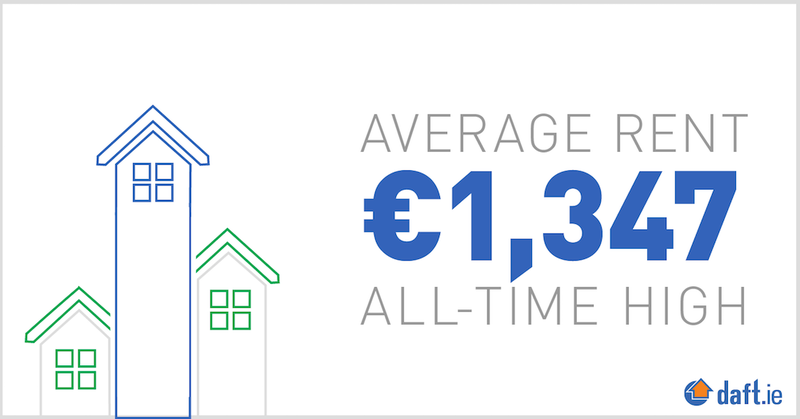 Figures published by the Central Statistics Office last month showed that the average price of a home – new or second-hand – was €291,579 in May. However, prices breached the €500,000 mark in Dublin local council areas, such as Dún Laoghaire-Rathdown. 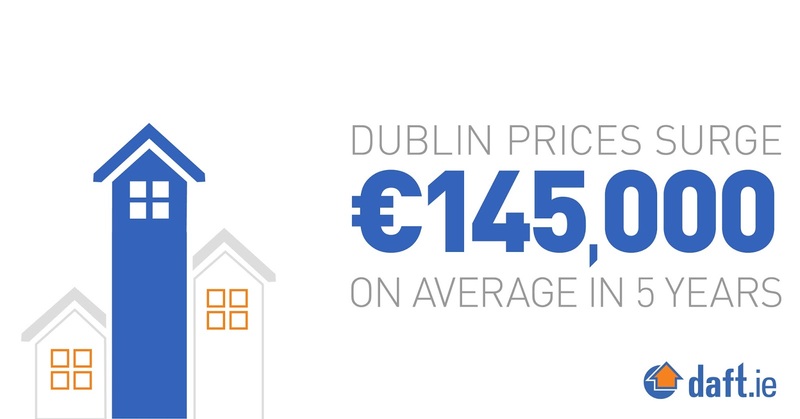 On average, people were paying €345,000 for a home in the capital in June. Linesight indicated that the squeeze on housing is likely to continue as the rate at which builders are completing new homes has yet to catch up with demand. “The number of dwellings completed for the first half of 2018 was 7,909, which is 30 per cent more than were built in the same period in 2017,” it said. The Government’s development plan, Project Ireland 2040, estimates that 550,000 homes will needed over the next 20 years. Meanwhile, Linesight indicates that the recovery in construction is set to continue. Its report notes that while there are indications of demand growing in areas outside the capital, such as Cork, the greater Dublin area remains the focus of the industry’s return. Figures are translating into more homes for first-time buyers, in particular, who have been waiting to get a foot on the property ladder. The autumn new homes season gets well and truly underway this weekend. And at last there is welcome news for house hunters as the number of developments launching is up and the trend looks set to continue. However, those hoping to secure an apartment to escape the heat of the rental market or to downsize from a larger property, will find little to celebrate. 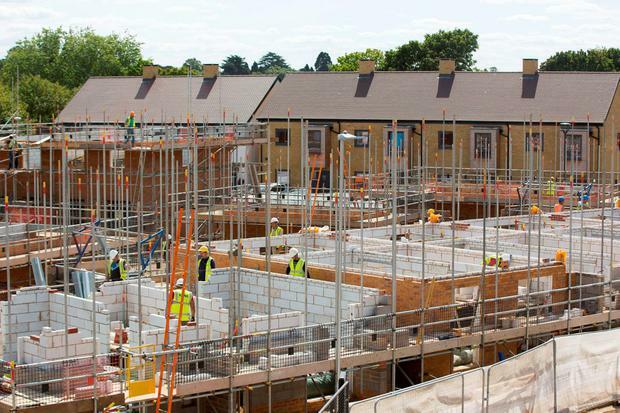 Latest figures from the CSO show an increase in new homes completed of 34.1pc year-on-year to June 2018, with a total of 7,909 new homes in the first half of this year. Of these, new homes schemes made up a total of 4,794 - a 54.4pc increase on the previous year. In contrast, apartments showed an increase in completions of just 6.2pc on the same period last year, a total of 980 in total. In all, a total of 14,446 new homes were completed in 2017, and Central Bank projections are for numbers to reach 17,500 this year and continue upwards in 2019 to reach 22,000. On the ground, those figures are translating into more homes for first-time buyers, in particular, who have been waiting to get a foot on the property ladder. The sales for new homes in the first half of the year with selling agent Sherry FitzGerald illustrate the buying power of FTBs. Of 1,100 new homes, says Ivan Gaine, head of new homes, "80pc of transactions were under €500,000; 40pc of these were below €365,000 and 40pc between €365,000 and €500,000." All would potentially qualify for the Help to Buy scheme and it has spurred developers on to deliver to this end of the market. Gaine believes the figures are an accurate reflection of how the market as a whole is divvied up. However, while supply is inching upwards, estimates put the actual number of houses needed each year at between 30,000 and 35,000 - to match demand from population growth, immigration and smaller household sizes. "Unfortunately," says Ken MacDonald, managing director of selling agent Hooke & MacDonald, "supply is just not meeting the demand. It's way short." Activity is up, says Gaine, but from a very low base. Construction may be up by 30pc, but figures fell short of demand by 20,000 houses last year, and will be short by 25,000 next year, and maybe by 15,000 the following year. "With so many stakeholders, the delivery time from consent - even with the new fast track planning system - to delivery, with the best will in the world, can be anything from 24 to 36 months," he says. And it may be five years before that shortfall is met. Perhaps the next most important concern for new homes buyers is affordability and whether the price inflation seen since 2013 will continue. The average asking price of a house in Dublin from March to June this year was €374,885 according to the latest House Price Report by property website Daft.ie. This is a rise of 1.5pc over the previous year. The average price nationwide was €254,000, a rise of 5.6pc. In other words, the rate of increase in Dublin prices is slowing, while prices outside the city are playing catch-up. MacDonald says: "Prices haven't gone up in the new homes market over the last 18 months like they have in the second-hand market. That is probably what has caused some of the second-hand market prices to come back a little bit. The new homes pricing has been pretty consistent. The only increases have been increases required for complying with new regulations or increases in materials or wages. As a result, we're finding the new homes market very strong, particularly for FTBs." Another factor in price increases in existing developments, according to David Browne, head of new homes at Savills, is the fact that each phase may release a different type or size of house: "You might come out with three-beds first in phase 1; then Phase 2, the way the site is laid out, you could have more four-beds coming in." However, he does see some price inflation, "It's modest. It might be €5,000, €10,000 in some cases. And it would very much depend on how many were sold in Phase 1. There's nothing mad, there are no huge jumps." "Prices depend on development and location really," says MacDonald. "Some developments are still being sold this year at the same price as last year." By year end, expect to see rises of no more than low single figures, says Ivan Gaine, who points out that in the FTB market, prices are being constrained by the upper limit of €500,000 on the Help to Buy scheme and stringent Central Bank mortgage ceilings. "The new homes market is very different in that we have very clear caps on affordability," says Browne. We have caps in terms of the land costs so it's much stricter in terms of what we can do and what you can produce." While choice has improved for house purchasers, those seeking an apartment in Dublin are faced with few options. "What we don't have coming to market is apartments," says Browne. "We've Lansdowne Place [a luxury development in Dublin 4], we've high-end apartments, but other than that a lot of the apartment schemes have been sold off to the private rental sector so there's a gaping hole in the market for people trading down. "If you look at Clontarf or Blackrock or Monkstown or any of these mature markets that are looking to trade down into stock, there is nothing," he says. "No one is looking at the people with four-bed semi-detached houses and where they are moving down to, they don't want 1,600 sq ft, they want 800sq ft, and they have nowhere to go to." "A lot of the FTBs would love to buy a small two-bed or even one-bed apartment," says Browne, "but they don't exist new. The viability in apartment construction needs to come back to the market so that, in a site of three- and four-bed semis, you can deliver the more affordable smaller units that just don't exist at the moment." Lack of supply, coupled with tighter mortgage lending has seen a shift to the greater Dublin area and outer commuter belt in the last 18 months. "We're seeing more people in the Dublin rental market buying here because the rent they're paying is more than they would pay in a mortgage, and they get more space and value for money," says Will Coonan of Coonan New Homes, who handles sales for many schemes in Kildare and Meath. The average house price in Kildare is €263,729, or €259,696 in Meath, according to Daft.ie, still well below the Dublin South City average of €411,959. There are signs too that Cork, Galway and Limerick are finally seeing the number of new homes coming to market increase - though many schemes are releasing subsequent phases rather than brand-new developments. Galway, however, sees two new schemes arrive this autumn, one in commuter hotspot Moycullen and one closer to the city at Monivea Road, which are bound to be snapped up in a city that has seen little development since the crash. In the meantime, David Browne is seeing a more informed buyer out in the market. "It's very different now. The buyers know exactly what they want, they have a number in their mind, they have a limit they will pay, they have loan approval and everything ready to go. So it's very solid and a very good indicator of how the market will go." House prices in this country are to keep rising rapidly this year and next, according to the latest report from international ratings Standards and Poor’s. This is in contrast to a string of other reports that indicate price rises are slowing down as buyers come up against Central Bank lending limits, which are restricting what they can borrow. Standard and Poor’s (S&P) Global Ratings predicts house prices are set to grow by 9.5pc this year and 8pc in 2019. It cites housing supply catching up with demand, and the labour market tightening even further as reasons for the property price rises. The report implies that we are heading for a soft landing. It says once supply improves however, “excessive pressure on house prices should gradually subside”. House prices have continued to increase at double-digit rates in 2018 so far. In June, they were up 12pc on a year earlier. S&P analysts wrote in a report on Europe’s housing market that Ireland is suffering from a chronic lack of properties to buy. It adds that increased activity by institutional investors, both domestic and international, has also underpinned house price growth. In 2017, almost one-fifth of all residential property transactions were by institutional investors, including small-scale buy-to-let buyers, S&P noted. The report states that even if house completions were to continue to grow at their “extraordinarily strong current rates” it will still be 2021 before supply meets demand, which is estimated at around 35,000 units needed a year. House building was up 30pc in the first half of this year, which works out at an annualised figure of 7,950 units, S&P says. As supply improves, excessive pressure on house prices should gradually subside. Buyers are now being restricted in what they can bid due to Central Bank lending limits - while prices have risen so much they are now increasingly beyond reach. |According to the report: "The availability of bank credit was deemed to be the primary factor behind the anticipated price changes both nationally and in Dublin." Other issues, including level of interest rates and the perception of value, were also cited. One of those who contributed to the survey, economist Dermot O'Leary of Goodbody Stockbrokers, said the market is being affected by the Central Bank's mortgage rules. "This is consistent with the slowdown in the growth of mortgage approvals over the past few months," Mr O'Leary said. The Greater Dublin Area continues to represent the lion's share of new housing output. Taoiseach Leo Varadkar said: "I'm pleased to see that in the last three months 4,400 new homes have been completed in Ireland. That's a 34pc increase on the same period last year. "I think it puts us in a good position to meet our target of building 20,000 new homes in Ireland this year. "We have a housing crisis in Ireland. The ambition is to build new homes and more homes. "It is going to take time but we are getting there." Property prices in Dublin are over-valued when compared with the incomes of people in the capital city, according to international research. It has been calculated property in Dublin is 25pc over-valued when set against incomes. The research conducted by 'The Economist' magazine also found that price growth in Ireland's capital has out-paced growth in 22 other global cities over the past five years. The publication found property prices in Dublin rose by 62pc following the property crash that started a decade ago. 'The Economist' looked at median household incomes, or middle income levels, and compared them with house prices. This is in an effort to analyse whether market dynamics are being driven by "fundamentals or froth". After comparing house prices to long-run median disposable household income, the study found prices in Dublin are 25pc over-valued. The latest median, or middle, value of a property in Dublin is €360,000, according to the Central Statistics Office. A 25pc over-valuation would imply the average property in the capital should be €270,000. In Hong Kong prices were said to be 94pc over-valued, and by 65pc in Vancouver. London prices were found to be 50pc over-valued when compared with median incomes. The publication found prices across these cities may now be at a turning point. Demand, supply and the cost of money could mean the international boom is ending: "As demand weakens, supply strengthens and mortgage rates rise, the bull run in housing may be drawing to an end," it said. The new research comes as experts have predicted price rises are due to slow down sharply because prices have risen so much they have now hit the limits people can afford. Buyers are being restricted in what they can bid due to Central Bank lending limits. Property experts predict a sharp slow-down this year. 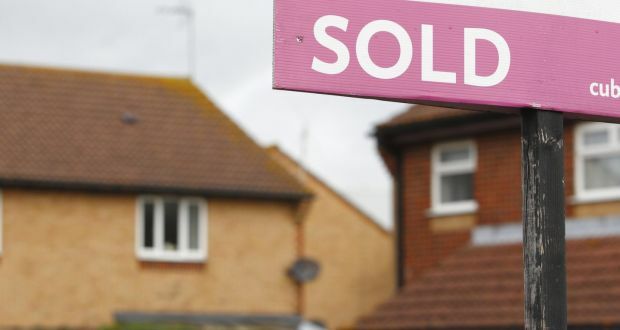 Most expect prices to rise by just 5pc over the next few months, according to a survey carried out by the Central Bank and the Society of Chartered Surveyors of Ireland of estate agents, economists, academics and surveyors. The latest official figures show a 12pc rise. Central Bank lending limits are being cited as the reason why increases are slowing, while there is some evidence of more properties for sale. The fall in growth expectations is particularly marked in Dublin, where the one-year expectation fell to just 2pc. Just over half of the experts expect price growth in the capital - down from 98pc at the end of last year. Spending on residential property rose by 24 per cent to €14.4 billion last yearwhile investment on commercial property fell, a new report has found. The analysis of the Republic’s overall property market by commercial real estate agent Cushman & Wakefield also predicts that capital spending on residential property will rise again in 2018. The breakdown of residential versus commercial investment bucks the trend between 2014 and 2016, where capital spend on residential was around 67 per cent of the total property spend. The overall spend across both property types only increased 1 per cent to €17.9 billion, the report says. The relatively small percentage increase comes after the volume of capital deployed on commercial transactions dipped almost 43 per cent. The report flagged 2016 as an “exceptional year” and noted that Dublin absorbed 67 per cent of the investment. But it also said anecdotal evidence is suggesting investors are becoming increasingly comfortable with the regional commercial market on the back of strengthening regional economies. Over €266 million of commercial properties were transacted in Cork in 2017, compared to €111 million the previous year. In Galway, activity rose by 15 per cent, resulting in €107 million worth of deals completing. The picture in residential showed investment in every county increasing, with double digit growth recorded in all but three counties. Capital spend in Dublin rose 23 per cent to €7.5 billion and represented over 52 per cent of the overall market. With €1.3 billion transacted, Cork was the second strongest county in terms of activity. Meath, Wicklow and Kildare also recorded strong annual growth rates of 55 per cent, 30 per cent and 28 per cent respectively. Cushman & Wakefield’s chief economist Marian Finnegan said 2018 looks set to be “another solid year”. “Commercial investment alone for the first half of the year is significantly higher than the same period last year. Notably, led by a number of larger value transactions and an uplift in overall development land transactions, the commercial property market looks set to exceed 2017’s performance,” she said. Growth in residential is also forecast to continue this year with a 12.5 per cent uplift already recorded in the volume of home purchases annually to the end of the first quarter. Given the ongoing supply constraints in the Republic’s residential market, the report flagged as a positive the fact that around 50,800 transactions were recorded on the property price register last year, an increase of 14 per cent on 2016. This year will likely see institutional investors continue snapping up residential properties, the report said, buoyed by a positive economic outlook, a growing population and strong residential rental growth. House prices in Dublin are 25 per cent overvalued against income, according to the Economist, which also finds in a new survey that property price growth in the city has outpaced growth in 22 other global cities over the past five years. The finding from the influential newspaper comes on the back of continued price growth in Dublin and across the country, with prices nationally now up 79.6 per cent from their 2012 lows, with Dublin prices almost doubling, up 92.7 per cent. Earlier this month the newspaper published its new house price index which covers 22 of the world’s “most vibrant” cities, including Sydney, London and San Francisco. It found buoyant price growth across these cities, noting that the average price of a home has risen 34 per cent in real terms over the past five years, while in seven cities (including Dublin) it rose by more than half. Now it says that global house prices – which in 14 cities are above their pre-crisis peak by an average of 45 per cent – could be near a turning point. The average rate of house-price inflation across 22 cities has slowed, it found from 6.2 per cent annually 12 months ago to 4.7 per cent now, while in six cities prices have fallen from recent peaks. But the prospects for the Dublin market may be less bearish than elsewhere. Back in 2003 the newspaper made its famous pronouncement that Irish house prices would fall by 20 per cent to the disbelief of almost everyone; in fact they ultimately fell by a multiple of that. This time around, however, the Economist is not suggesting that house prices in the capital are set to fall. Rather, in an effort to analyse whether market dynamics are being driven by “fundamentals or froth”, the Economist has compared them with median household incomes. If prices rise faster in the long run than the earnings that service mortgages, they may be unsustainable – unless incomes rise also. In comparing house prices to long-run median disposable household income, it finds that prices in Dublin are 25 per cent overvalued. This is considerably less than its estimates for other cities, which include Hong Kong (+94 per cent); Paris (+70 per cent); Vancouver (+65 per cent); and London (+50 per cent), but higher than Zurich and Madrid (+15 per cent). Just four cities in the survey have prices at or under fair value: Tokyo, Milan, New York and Singapore. The newspaper says that prices across these cities may now be at a turning point, as the three reasons why cities have experienced a property boom – and why it may now be ending – are demand, supply and the cost of money. “As demand weakens, supply strengthens and mortgage rates rise, the bull run in global cities’ housing may be drawing to an end,” it says. The Economist points to potential falling demand, as the growth in globalised cities’ population will soon start to slow – for example, London lost 100,000 people to the rest of Britain in the year to June 2017, while foreign capital – not so much an issue in Ireland – is also on the wane elsewhere. Secondly, supply – in Ireland as elsewhere – is finally ticking upwards, even if it still isn’t sufficient. Finally, the magazine cites an end to cheap mortgages, and bonds becoming attractive again, as interest rates advance. Growth factors behind the Irish market may be slightly different, but with everyone describing the latest upturn in prices as a boom driven by lack of supply, it’s still worth noting a point made by the Economist editor who made that famous prophecy back in 2003. Speaking in Dublin in 2005, then economics editor Pam Woodall noted that some economies rely on “common fallacies” to convince themselves that everything was going to be all right. And one of these fallacies? Believing that a fixed supply of land and rising population mean house prices will always rise. Written by Robert McHugh, on 2nd Jul 2018. Commercial property specialists CBRE today released their latest bi-monthly report focusing on the latest trends and transactions in all sectors of the Irish commercial property market. The report shows that particularly strong take-up was recorded in the Dublin office market in the first six months of 2018 with take-up in second quarter significantly boosted by the recent acquisition of 22,146m2 of office accommodation at the Boland’s Quay development in the south Docklands of the city. In addition to strong volumes of take-up, a number of significant transactions are currently in negotiations and there are several unfulfilled mandates prevailing. New research from CBRE shows that Dublin currently ranks 27th in a survey of global office occupancy costs, up from 29th place this time last year. With office rents in the suburbs of Dublin remaining at levels that are at least half that prevailing in the heart of the CBD, CBRE believe there is now tangible evidence of occupiers looking to move to more cost-effective locations such as the suburbs. In addition to a notable increase in lettings to co-working and flexible office providers over the last 12 months, CBRE are increasingly seeing organisations introducing flexible working strategies in an effort to lower costs, improve employee engagement and increase productivity within their existing office buildings. Following the completion of almost €1 billion of investment transactions in the Irish market in the first quarter of 2018, activity has continued at pace over recent months. Although a somewhat lower investment outturn is anticipated in the second quarter of 2018, there are several sizeable assets being marketed at present which will boost transactional activity further in the third and fourth quarters of 2018. Some further Asian investment is expected to materialise in the second half of the year. CBRE say investors from a range of jurisdictions continue to be attracted to real estate investment opportunities in the Irish market, attracted by buoyant economic fundamentals and the relative strength of occupier market activity as well as comparatively attractive pricing. The commercial property specialists envisage a further shift in the sectoral split of investment spend over the coming months with an increasing proportion of investors seeking ‘alternative’ investment opportunities. PRS/Build to Rent continues to evolve as a mainstream sector of the Irish investment market in its own right. Indeed, according to CBRE, the volume of capital chasing residential investment opportunities in Ireland’s main cities continues to escalate with several investors who heretofore focussed primarily on traditional investment sectors such as offices and retail now also willing to consider investment opportunities in the residential sector. To some degree, this is a diversification play on a sector that is generally less susceptible to cyclical patterns, but investors are also attracted by the attractive yield profile and rental growth prospects in an Irish context. According to CBRE, most of the capital targeting the PRS/Build to Rent sector in the Irish market is looking to invest over a long-time horizon. Commenting on the bi-monthly report, Executive Director & Head of Research at CBRE Ireland, Marie Hunt said, "Activity in each of the occupier markets remained strong throughout the first half of 2018, buoyed to a large degree by continued job creation in the Irish economy. The months of July and August will now see the pace slow a little with the focus shifting towards closing out many of the transactions that are either in legals or in negotiations at present before the next wave of activity commences in Autumn. Prime rents and yields in all sectors remain relatively stable at this juncture although further rental and capital value growth is anticipated in all sectors of the market in the second half of 2018." She added, "Considering the strength of both the domestic Irish economy and occupational activity, demand for core real estate investment opportunities in the Irish market remains strong although there has been a notable sectoral shift in investor appetite over recent months with focus on the Build to Rent/PRS sector becoming increasingly evident. Another trend that has become evident over recent months is that an increasing proportion of transactions in the hotel, development and investment sectors are being conducted off-market." HOUSE prices are likely to begin to fall in price over the next two to three years, according to the Governor of the Central Bank. Philip Lane also believes we need to be prepared for the economy overheating – which could hamper Leo Varadkar’s plans to reduce income taxes further. At the Oireachtas Finance Committee, the regulator told politicians there is now a “material risk” that home valuations will go into reverse by 2020 or 2021. And he said anyone thinking of buying a property now needs to bear this in mind. Mr Lane said this was due to a buildup of housing coming on stream along with other global factors. Senator Kieran O’Donnell asked him about the “escalation in the price of houses for starter homes” which are now “outside the gambit of the ordinary person”. 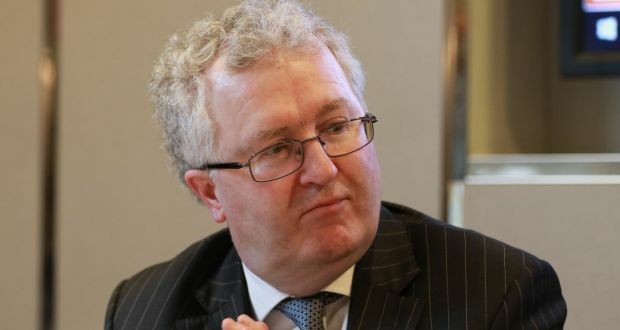 He had earlier pointed out the projections of 23,500 new units in 2018 and 28,500 in 2019 are “below current estimated housing demand of 30,000-35,000 per annum outlined in Project Ireland 2040”. But the Governor later revealed: “I do think there is a material risk of a reverse of house prices… as supply builds up that will put downward pressure on houses in coming years. He believes the deposit and income rules for taking out mortgages are “beginning to bite more severely” which will help slow down the house market. Pressed on a possible decline in house prices, Mr Lane told the committee: “If you are planning on taking out a mortgage now, and trading up in two or three years time, you need to recognise that risk. “If you are planning to live in that house for a substantial period of time then that should not be a matter of overriding concern. The Irish rental market is a ticking time bomb akin to a Bond film, rolling down to zero however, in this instance there will no ‘007’ to save the day. We now have a situation where an ever increasing 34% of the Irish population are renting, some by choice, most by necessity. There are currently less than 3,000 properties available to rent in Ireland, just 0.15% of the total housing stock. Demand is at least four times that level. Rental values having increased over 65% in some urban areas over the last 4 years. Currently, less than 5% of newly constructed homes are being bought by investors. At the height of the Tiger’s roar, this figure exceeded 45%. So where are these rental properties going to come from? Take a regional town of 5,000 people. A town of this nature would have a demand for least 200 privately rented properties. Who is going to service this market in the future? Due to its’ fragmented nature, it holds no appeal for the large investor. Most one-off investments are now purchased with cash. Servicing a loan at rates north of 4% is simply a non-runner, in addition to paying income tax, USC, LPT and increasing RTB compliance costs. What this means is the only real potential upside for the investor is capital appreciation however, values have increased by up 50% in many urban areas over the last four years which will make investors more cautious when investing. The government recently announced that they had exceeded their 2017 target by housing 23,000 people. The devil is in the detail. Delve a little deeper, less than 1,000 new social homes were built in 2017 with a further 500 provided through Part V.
Many people understandably have little or no sympathy for landlords, believing they played an integral part in both inflating house prices during the noughties, and the subsequent crash. Herein lies the problem. With property values currently increasing 10% per year, additional homes must be provided for the increasing number who cannot afford or secure a mortgage or the ever increasing number who simply choose to rent. It is a responsibility of government to provide housing for those who cannot secure a home. Our current rulers, in their wisdom, decided following the crash, that the private sector would deliver the homes needed. This was never going to happen. An industry which had been forced to take a long lunch (6 years) was always going to take some time to reinvent itself. On top of this there is the archaic planning process to contend with. The construction industry has returned to growth, but only in the large urban areas where values are now making it profitable again to build. ‘Rebuilding Ireland’ was launched in mid-2016 by the government to much fanfare. While it can be applauded for success with the ‘Help to Buy Scheme’ and the introduction of fast track planning permissions, it has failed to deliver in a number of areas. At one point, ‘modular housing’ appeared to be the answer to all our prayers! This was short lived. The recent announcement of the home purchase scheme through local County Councils should be cautiously welcomed as it will only assist a small percentage of home buyers. Also, a note of caution, historically, similar type schemes have proven to accrue arrears issues. Solutions? Two areas of focus - the supply side and the taxation side. As is now happening in the UK, the government must attract back the smaller, buy-to-let investor. Our cities will be well served by professional investors like REITs and pension funds for decades to come with large ‘Built to Rent’ type developments comprising of hundreds of rental properties is desirable areas which offer all day to day amenities, on-site. What about the regions? Incentives for the small-time investor should include lower income tax from rental income, extra allowances for capex (capital expenditure) and reduced CGT on exit, which currently stands at 33%. On the planning side, the level of social housing in Ireland currently stands at 10% of the total housing stock, with a further 24% of residential homes privately rented. This figure is higher in cities. In addition to Part V, introduce a requirement that 10% of the total number of units in new developments must be sold to private investors. Currently, investors cannot compete with the FTB for starter homes. For the FTB, this is to be welcomed however, for those requiring somewhere to rent, it is limiting their options. Some would claim that this move would just increase pressure on the FTB. To alleviate this, housing densities could be increased by one unit per acre, for a limited period. The rental market needs rental properties or else it is just a market! People need to recognise that landlords play a fundamental role in the property food chain and for those who find it hard to accept will need to accept them as a necessary evil. "Affordability is beginning to bite in Dublin, but outside the capital house price inflation is continuing to rise and now stands at 10% year on year"
House prices are continuing to rise but the rate of increase is moderating due to tighter bank lending and stretched affordability in Dublin, according to the latest house price report from MyHome.ie. 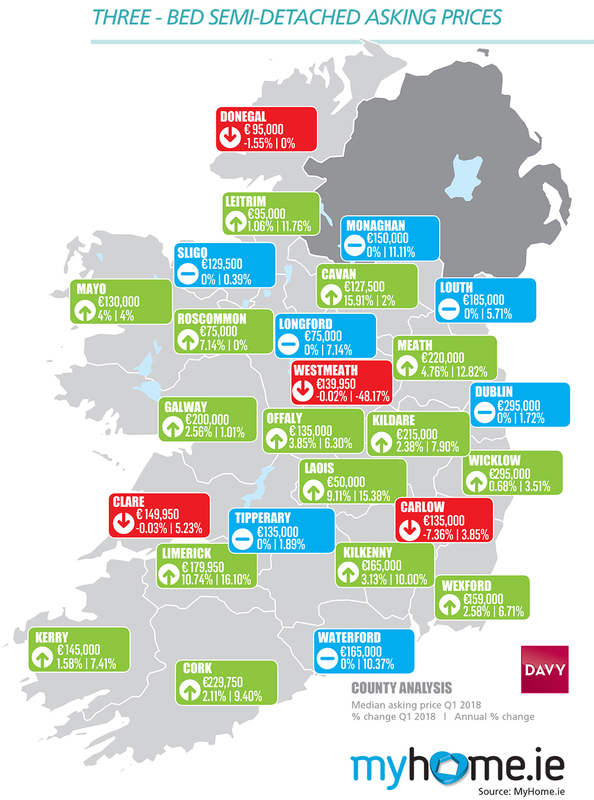 The report, which is published in association with Davy, found that the prices of newly listed properties nationally rose by 4.8% in Q1 while prices in Dublin rose by 3.3%. Newly listed properties are seen as the most reliable indicator of future price movements. The median asking price for new sales nationally is €260K while in Dublin it’s €345K. The figure for outside Dublin is €210K. 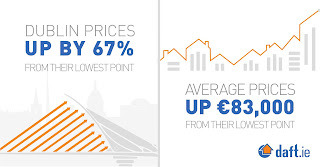 Nationally, asking prices are up 9.5% on the year, while in Dublin price inflation is 8.2%. For the entire stock of properties listed for sale on the website prices rose by 1.9% nationally and by 1.8% in Q1. The author of the report, Conall MacCoille, Chief Economist at Davy, said that while house price inflation would remain close to 10% outside Dublin for 2018, stretched affordability in the capital and a pick up in housing supply suggested the rate of inflation would continue to moderate. "The tightening of the Central Bank mortgage lending rules coupled with stretched affordability was always likely to be first felt in Dublin. The house price -to-income ratio for first-time buyers in Dublin was 4:1 at the end of 2017 and this compares with 3.5:1 recorded in Cork, Galway, Limerick and Waterford." "Inflation in Dublin is now 8.2%, down from just over 11% in Q4 2017. The cooling off is already evident in more expensive areas and property types. The median asking price in Dublin South City was flat year on year at €275K but was up 12.8% in Dublin North City to €225K. The median one-bedroom apartment price in Dublin increased by 13% over the past 12 months to €190K; in contrast four-bedroom detached house prices have been flat at €650K." "The other key trend we are seeing is that house supply is finally picking up. Although the number of properties listed nationally on MyHome.ie is largely unchanged at 18,800 the number of properties in Dublin is 3,900, up 20% on last year"
"Furthermore, the number of new developments on MyHome has increased to 423, up 24% on the 342 recorded in mid-2017. While two thirds of these developments are in the greater Dublin area there has also been a sharp increase in some other areas – in Cork for example the number is 64, up 68% on mid-2017. Although moving in the right direction the current level of homebuilding – circa 12,000 per annum – remains well short of the natural demographic demand of at least 35,000 each year MacCoille concluded. The Managing Director of MyHome.ie Angela Keegan said that while first time buyers would continue to be concerned at the rate of inflation, there were some positive trends in the new figures. "Transactions levels are up 10% in the first two months of the year and at this stage we would be predicting an 11% increase on last year’s figure of 54,000. Given that the level of transactions was 18,400 in 2011 it is encouraging to see that we should be in or around the 60,000 mark this year." "Meanwhile activity at the very top end of the market shows little sign of slowing down. Our analysis of the Property Price Register shows that the number of house sales above €1m rose to 826 in 2017, up 25% on the previous year. There are currently 506 properties with an asking price exceeding €1m listed for sale on MyHome.ie" Keegan said. The number of mortgages approved fell by 8pc year-on-year in March, according to data from the Banking and Payments Federation. Mortgages approved in March 2018 were valued at €763m – of which first time buyers accounted for €390m (51.1pc) and €234m (30.7pc) by mover purchasers. Overall, the value of mortgage approvals fell by 2.9pc year-on-year, but rose by 10.4pc when comparing month-on-month. The decline in approvals was impacted by bad weather, reduced supply and and new lending rules. In addition, according to Dermot O’Leary, chief economist with Goodbody, March 2018 figures came off a very tough comparison in the first three months of 2017 when mortgage approvals increased by 77pc year-on-year. "Annual comparisons will become easier as the year progresses," Mr O'Leary said. Despite the cooling, the trend in drawdowns remained strong in the first quarter of 2018. The value of loans drawn down in the first three months of 2018 was up 22pc year-on-year, almost matching the fourth quarter 2017 growth rate of 23pc year-on-year. This is made up of a 14pc year-on-year increase in mortgage volumes and an 8pc increase in the average loan. Remortgaging, up 59pc year-on-year, was the fastest growing component by far, reflecting increased competition and rising levels of equity in the system. Overall remortgaging accounted for 13pc of new lending, the highest level since 2009. While first-time buyer drawdowns increased by 29pc year-on-year. While a quarter of first time buyers received exemptions from the Loan-to-Income ratio threshold of 3.5 times income in 2017, under new lending rules, this is now restricted to one in five first time buyers. "Lack of available housing stock remains the major issue holding back faster growth in mover-purchaser mortgages," Mr O'Leary said. "This is reflected the widening gap between mortgage approvals and drawdowns over the past twelve months." With the dire shortage of housing in the capital an almost daily staple of news reports, and the economic recovery a reality, surely 2018 will be the year when it all falls into place and supply finally begins to meet unprecedented demand. Our regional breakdown of more than 140 new homes schemes launching, or rolling out new phases, in Dublin and its environs in the next 12 months would certainly suggest a marked increase in output. But closer inspection indicates that the numbers are still not adding up. ESB connections have increased by around 26 per cent and commencement notices are up almost 50 per cent, but this is still only adding up to a potential delivery of about 21,000 new homes in 2018. It is generally accepted that this figure amounts to less than half of what is actually required to meet demand and population growth expectations. The drip feed of new homes to the market will improve slightly this year but the flow that’s needed to service a normal, functioning property market is still not there. While last year saw new homes sales across 100 sites, the volume of units being released to the market remains low. In mid-2017 the approval process for large-scale planning permission applications was taken out of the hands of local councils and given directly to An Bord Pleanála in a move to fast track new builds. 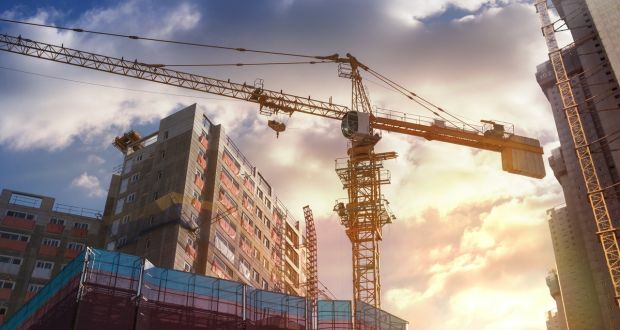 Towards the end of the year Minister for Housing Eoghan Murphy declared the move a success when he noted that developers had sought planning for more than 11,000 units under the new fast-track system. However last week’s refusal by An Bord Pleanála of planning for the next phase of one of south county Dublin’s biggest residential schemes, Clay Farm in Leopardstown, is a salutary reminder that the process may have been accelerated but there is still no guarantee that plans will convert to actual homes. A glance at our New Homes listing shows relatively small numbers of homes being launched per scheme. The cynical analysis suggests that developers are happy to ride the upward wave of property prices, and adopt a “phased approach” to new homes production. After all why sell 100 homes now, when prices are rising by 11-12 per cent annually? The construction industry would argue that prohibitive building costs (to comply with stringent building regulations) and limited access to funding are the stumbling blocks to large-scale production. The upshot of it all is that even with the assistance of the help-to-buy scheme and the Government’s newly announced mortgage assistance scheme for first-time buyers within certain earning brackets, the prospect of being able to buy a new home in Dublin remains slim. The asking prices for most new homes and apartments coming on stream are substantially higher than the €320,000 limit being offered to eligible candidates. The leafier locations within the city and south city environs are already seeing plenty of demand from well-heeled downsizers and buyers assisted with cash from the bank of mum and dad. Big developers such as Cairn continue to service this market and expect plenty more high-end apartment schemes to come on stream from the substantial RTÉ site in Donnybrook, to the Blakes and Esmonde Motors site in Stillorgan village where Cairn has just applied to build nearly 300 units in blocks rising to nine storeys. The biggest increase in activity this year is likely to be in the market for two-, three- and four-bed homes at the north and south city limits and into commuter counties such as Meath, Kildare, Wicklow and Louth. Expect many of the applicants under the new mortgage assistance scheme to target their money towards these areas. The net effect is that prices will be driven upwards on foot of added demand, and new pressures will be placed on these areas to deliver adequate infrastructure supports to meet population growth. Despite its almost entire reliance on the private sector to deliver us out of the property crisis, it is inevitable that the Government’s housing policy failures will eventually come home to roost. With apartments accounting for just 12 per cent of all our housing stock, progress to increase housing density in line with our EU neighbours (the EU average is 50 per cent) is slow. Availability of land for development is an inhibiting factor, and it was envisaged the vacant site levy might address this. However the failure by two Dublin local authorities to list any properties on the register of vacant sites set up a year ago is indicative of a lack of will to enforce the levy on property owners who fail to develop prime housing land. Meanwhile some of the most ambitious developments in prime locations around the city are by real estate funds operating managed rental blocks. Kennedy Wilson, Hines and IRES Reit are just three of the major investment funds mopping up much of the exciting large-scale development in the city currently. Much of the development is for offices rather than apartments, and the residential units will be primarily only available to rent. Ireland’s commercial property market continues to report stable growth as the JLL Property Index, to be released on Wednesday, shows that overall returns increased by 2.7 per cent in the last three months and by 10.7 per cent over the last year. The good results are all the more surprising as the market has had to absorb the effects of a stamp duty increase in December. Capital values grew by 1.5 per cent in the last quarter and by 5.5 per cent over the past 12 months. The growth was predominantly led by the industrial sector. The capital value index has increased by 90.4 per cent since the trough in 2013 but remains 37.5 per cent below the peak in 2007. Overall income increased by 2.1 per cent in the last three months. The index portfolio showed an income yield of 4.6 per cent across all sectors. Rental values across the index portfolio increased by 1.7 per cent in the last three months and by 7.5 per cent in the last 12 months. Offices have had the greatest increases over the last 12 months (up 9.6 per cent) followed by retail (up 5.6 per cent) and industrial (up 3.7 per cent). John Moran, JLL’s head of investment, said the index had shown steady performance in the first months of 2018. It had reverted to normal growth following the stamp duty increase in the last months of 2017, which virtually cancelled out capital growth in the previous quarter. Investors had achieved strong overall returns, increasing by 10.7 per cent in the year to March 2018, and the yield remained steady at 4.6 per cent. Of particular note was the strong growth in industrial capital values, which was primarily a result of strong occupier market fundamentals. The figures in this latest Daft.ie Sales Report are unlikely to surprise many who have an interest in the housing market. Comparing prices in the first three months of 2018 with those in the final three months of 2017, they rose in 53 of the 54 markets covered in the report, with only Monaghan recording a slight fall. Compared with prices a year ago, only Donegal has seen a fall. It is, in other words, a market that continues to see almost across-the-board strong increases in prices. Looking at the national average, the annual rate of inflation was 7.3% in the first quarter of the year. The optimist will point out that this is the slowest rate of inflation in almost two years. However, in a healthy housing system, housing prices increase at the same rate as prices in the rest of the economy, no faster. According to the official measure of the price level, general prices in the Irish economy are no higher now, in early 2018, than they were five years ago. This is a remarkable achievement in recovering the lost cost competitiveness of the Celtic Tiger years. It is all the more remarkable considering that one of the single largest components of the CPI is private rents - so in truth, leaving the housing market aside, consumer prices in Ireland have fallen over the past five years. The reason that prices are rising is not complicated: the growth in demand far exceeds the growth in supply. The fundamental barometer of a healthy housing system is that, where new demand occurs, new supply follows quickly. This should be true for the housing system as a whole - i.e. both market and social housing segments. But a closer look at the figures reveals just how dysfunctional Ireland's housing system is. Turning to demand, first, Ireland's population is rising by over 50,000 people a year. About two-thirds of that increase - between 30,000 and 35,000 - is down to a natural increase in the population. The remainder - a far more volatile number in Ireland but 20,000 in 2017 and on average that amount over the last two decades - is net migration. Of course, it's a little more complicated than births exceeding deaths. A population increase of 50,000 does not mean the country needs 50,000 new homes a year. At a very basic level, not every individual - and certainly not new-borns - has a household by themselves. So, in order to understand housing demand, we need to look at household formation. But the picture here reinforces the stats above. There are about 330,000 women in Ireland aged between 25 and 34, compared to about 110,000 aged 75-84. This gap of between 20,000 and 25,000 per year gives a good measure of the underlying demand for new housing in Ireland each year. But in addition to the increasing population, there are two further elements that need to be factored in. The first is obsolescence: even in countries with a declining population, new homes need to be built to replace stock that falls out of use. Even if every home lasts on average 200 years, that's still 0.5% of the housing stock - or in Ireland's case, 10,000 homes. And lastly, there is household size. While at first glance, this appears to have been static in recent years, or indeed even increasing between the 2011 and 2016 Censuses, this is merely because household formation is what economists call endogenous. Simply put, if you can't find a dwelling, you cannot form a household. Looking at the bigger picture, including long-run trends in Ireland and elsewhere, it is clear that the bulk of new households formed will be 1 or 2 persons. This has implications for both how many new dwellings are needed and what type. If Ireland adds 2 million people in the coming decades, but they are in households of 4 persons on average, this is an additional 500,000 dwellings. But if - as is overwhelmingly likely - they are closer to 2 persons on average, Ireland needs twice as many new homes to cover the same increase in population. And not only that, Ireland is urbanising. Dublin and the other major cities are likely to account for 80% of the country's population by mid-century. This is not some anomaly, with Dublin far too big - indeed, if anything, Ireland is anomalous in not having this process happen already. Ireland is in the middle of a century-long process of moving from rural households of roughly 4 persons to an urban society of 2 persons per household. This has huge implications for what we build and how. Supply will be needed in and around the cities - and predominantly in apartment form. What is clear is that this is not happening. Planning permission was granted for a little over 5,000 apartments, nationwide, in 2017, and for 20,000 dwellings in total - less than half the likely demand. It is often said that the mantra in the housing market is "location, location, location". For housing policy in Ireland, it needs to be "supply, supply, supply". 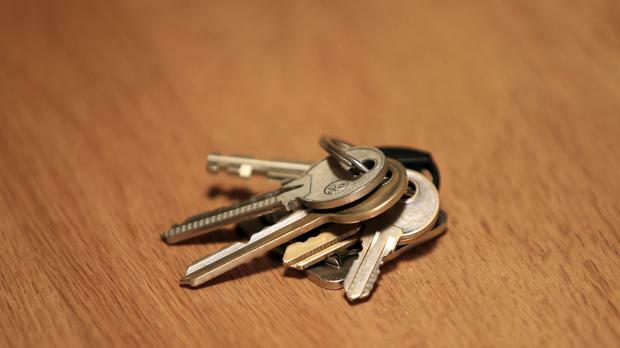 Do you own a property in Ireland that you’re renting out but you don’t live in the country? There’s a few tax obligations that you need to be aware of, but also, there’s some tax deductions you need to be taking advantage of! So, what exactly is a non-resident landlord? You are classed as a non-resident landlord if you rent a property in Ireland but you reside in Northern Ireland or another country. Any money you make from the renting of your Irish property, comes under Irish taxation law and must be taxed the same as if you were a resident. How exactly do you pay your tax to the Revenue Commissioners? It works slightly differently than if you were a resident of Ireland. One method is when the tenants of your property actually withhold the income tax and pay it to the nearest tax office in their location on your behalf. At the end of the tax year, the tenant then fills out a Form R185 and gives this to the landlord as a record of the tax paid. This may seem a quite roundabout way of organising your tax affairs but it is a lot cleaner than trying to pay money to the Revenue Commissioners from overseas. A tax collection agent is an Irish resident who collects and files income tax on your behalf. The handiness with this option is that they are provided with a second PPS number to be used exclusively when dealing with your income tax. They can be a company, individual or even a family member, trusted friend or tax advisor. This is normally the preferred method of dealing with income tax, as it takes the burden away from the tenants. Then, you, the landlord is able to receive your full monthly rent and can sort out your own taxes and know that you are completely compliant with local taxation laws. Even if you use a collection agent it would be advisable to use the help of a tax consultant to ensure you are fully tax compliant and have claimed all the deductions you are entitled to so that your tax bill is kept to a minimum. They can also advise you on your PRSI and USC position and their fees for completing the rental computations are tax deductible. Did you know that, even though, you may be a non-resident of Ireland, you are still entitled to the same deductions as resident landlords! You will have to register with the PRTB at €90 per tenancy. You are entitled to claim this as a deductible expense for tax relief though! If your tenants are registered with the PRTB you are entitled to claim tax relief of 80% on the mortgage interest of your rental property from 1 January 2017. For certain tenancies the interest deduction is 100% where the property is let out for 3 years for social housing use. If you need to carry out repairs or maintenance to your rental property you can claim these back as expenses in your tax return. Included in the repairs or maintenance is the cost of hiring a third party for labour, which is extremely helpful in the case of non-resident landlords who cannot do the repairs or maintenance themselves. Are you paying a management company to collect rent and overall manage your property? Did you know you that these fees as tax deductible? If you didn’t, you need to get that sorted! Hiring an agent or company to manage your property is something a lot of non-resident landlords opt for, due to peace of mind, but so many of them don’t know that these fees are completely tax deductible! Have you purchased insurance to cover and protect your rental property? You guessed it, your insurance premium on the rental property is deductible in your tax returns! Longford often describes itself as a hidden gem, meaning most people don’t know about it. However if you are seeking a high quality of Life, Longford has a lot to offer. Your money goes a long way in Longford. Whether it’s buying or renting, prices are still recovering from the economic crash and Longford is one of the most affordable locations in the country. A large country house can be purchased for the price of a ‘shoe box’ townhouse elsewhere in the country. Prices are rising quickly but there are still amazing opportunities. Your dream home is possible in Longford. The county is principally a rural area with Longford town being the main urban centre with a population of over 10,000. 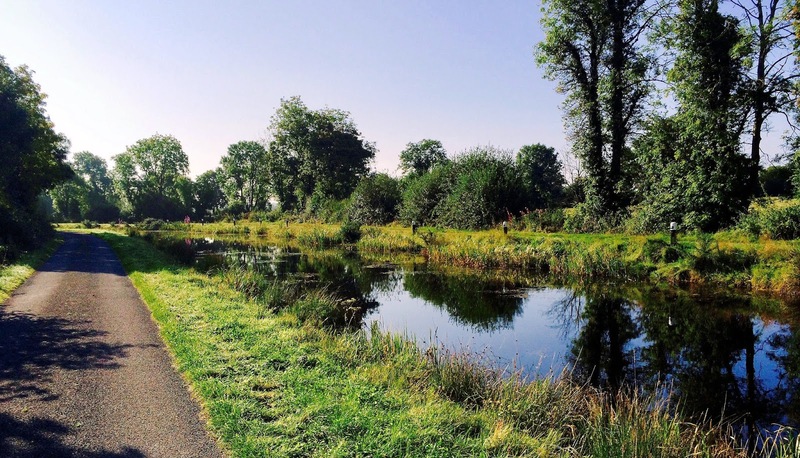 There are a lot of vibrant villages throughout the county including three former tidy towns’ winners, all within a maximum of 20 mins drive from Longford Town. A lack of traffic congestion means a morning commute is short & stress free. The recession hit provincial Ireland hard. Construction came to a halt and in Longford unemployment soared. However, Longford is fortunately home to a number of very prominent businesses such as Abbot Laboratories, Green Isle foods, Finesse Medical, Tool & Plastic all competing for third level graduates. The Irish prison service is headquartered in Longford and the department of social welfare has substantial offices here. Centre Parcs are starting construction of a holiday resort just outside Ballymahon in spring 2017, which will employ 1000 when fully operational. A lot of speculatively built commercial property built in the boom year’s means setting up a business is much cheaper in Longford with modern office space and industrial units and low retail rents giving easy opportunities to expand. When raising a family one of the greatest concerns is getting children into good schools. While third level courses are more restricted in the county with most students travelling to nearby Athlone IT. Longford is blessed with a number of great national schools including a Gaelscoil, where waiting lists are not a massive issue. There are 10 secondary schools in the county all with excellent academic reputations. Despite the downturn and a number of vacant retail shops in the town, Longford has somehow remained a great shopping destination with a number of unique local award winning shops & boutiques. The quality of coffee shops has improved dramatically in recent years and the car parking is amongst the cheapest in the region. All the major supermarkets are represented and the current trend is for more multiple retailers opening in the town. During the economic boom Longford did not have the variety of restaurants it does now. The Aubergine bistro, Indian Spice, Mekong & Rising Sun Chinese restaurants in the town have all thrived in recent years. Viewmount house with celebrity chef Gary O’ Hanlon has brought some high acclaimed fine dining to the town. In Ballymahon, Nine Arches is a new welcome addition. Crossing the Shannon into Tarmonbarry Keenan’s Pub & the Purple Onion add to the variety and are just 5-10 mins drive from Longford town. Afterwards you might want to hit the Pubs, which creates a dilemma, the village local or into the town. Catch a film in the Omniplex or up to the Backstage for a play, I hear the St. Mel’s Musical Society’s latest one is hilarious. Either way, you will probably still end up in the Spiral Tree Night club or Luigi’s for the chips at the end of the night. Living in Longford you will probably not be celebrating Leinster GAA titles a lot… but what is seldom is beautiful and our Club sides often punch well above their weight in the Leinster championship. Twice holders of the FAI cup Longford town got relegated from the premier division last year but intend making a swift return. Longford’s Rugby club is the envy of all provincial towns with top class facilities and the popular Sin bin bar & restaurant. These three most popular sports have a huge youth aspect with high quality coaching. The mall sports complex hosts five a side on Astro & indoor and has a 25 meter six lane swimming pool & Gym. Longford Cycling & Tri clubs are very active and growing fast. Longford Golf club is a parkland golf course close to the town centre and within 30 mile radius there are championship courses such as Mullingar, Glasson and Sliabh Russell. The Tennis club features fine savannah courts and has a popular mixed doubles night on a Friday. Due to the Shannon and lakes around Longford water skiing, wakeboarding & Canoeing / kayaking are common pursuits. While we are on the subject, the River Shannon runs all along the western border of the county where Leinster, Ulster and Connaught all converge. This is intersected by the Royal Canal at Clondra which now features a cycle & walkway path all the way into Longford Town. The River Inny also flows into the Shannon and this is particularly renowned for the short rapids just North of Ballymahon that make it an ideal white water canoeing spot. Longford’s St. Mels Cathedral is a modern day phoenix rising from the ashes, dominating the town skyline it was almost completely destroyed by fire Christmas morning 2009 rebuilt & restored within 5 years the modern interpretation and craftsmanship is fascinating. The north of the county is dominated by Cairn Hill (a torture spot for the enthusiastic cyclist) and the beautiful countryside around the Lough Gowna system of lakes. This is a popular area for fishing and Derrycassin Woods hosts one of Ireland’s finest old estate walkways. The south of the county is dominated by Lough Ree and the Bogs, in which the Corlea trackway visitor centre shows off the Iron Age trackway dating back to 148 bc. Also coming out of the Bog are the amazingly beautiful bog oak sculptures created by Michael & Kevin Casey which operate out of a studio in picturesque Barley Harbour in Newtowncashel. But then again there are ‘Hidden gems, throughout the county. The Granard Motte with commanding views of the surrounding countryside, the ‘hot water stretch’ in Lanesboro is renowned amongst fisherman throughout Europe. The heritage & tidy town winners of Ardagh Village, Newtowncashel & Abbeyshrule (also known for its airfield). All a bit boring for you? Time to go to Edgeworthstown for Go-Karting on a championship track or paintballing. This section is getting too long…. too many to mention! Situated along the N4 Dublin – Sligo Road & N5 Dublin Castlebar Road, Longford is just c. 90 km from the Dublin M50, or an hours’ drive. My friends often joke with me ‘Longford, convenient to other places’, but it is true. Commuters and businesses are finding that getting to Dublin is pretty easy Monday to Friday there are 10 rail services with commuter and intercity trains to Dublin along the Dublin-Sligo line and 9 return services starting as early as 5:40am. Sligo on the Wild Atlantic way is just an hour’s drive. Did I put Surfing in the sporting section? From this north Midlands location whether it’s getting to Cavan and across the border, west to Mayo or Galway, south to Athlone. These areas are all within easy reach. Longford is a very welcoming place, being a smaller county it easy to get to know people and make friends. In selling houses its notable the number of people not originally from the county, but spent time here due to work or relationships, that end up returning settling in a place they felt at home. You won’t be made feel like a ‘blow in’ in Longford, we’re just happy you decided to live here.